How to register to get the full version of iTunes Audio Converter for Win. iTunes Converter is a shareware that needs registration. Before purchase, you can go to download the latest trial version from our website, install it. To the trial version of the iTunes Converter, you can only convert 3 minutes each audio files from iTunes. 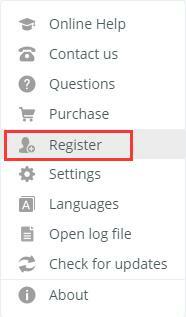 After you purchased the software and received the registration information from us, please follow the next steps to register your iTunes Converter on your computer. Step 3. 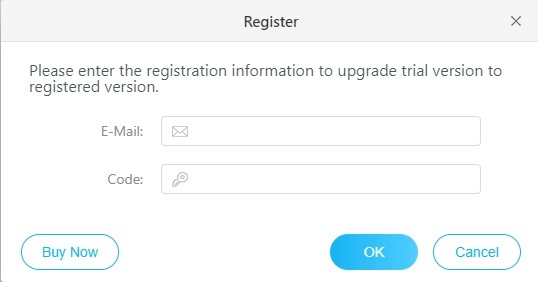 Fill the input blanks with Registration Email and Evaluation key which we have provided for you, then click the button OK, the registration will be done, and the limitation of the trial version will be removed. 1. Please make sure you are running the latest version of iTunes Converter, otherwise please download and install the latest version by clicking http://www.macsome.com/itunes-converter-win/. 2. Make sure the Registration Email and Evaluation key you entered are both complete and correct.